It all started a year ago, when my number one resolution for 2014 was to spend more time washing my face. OK, that totally makes me sound like a grubby teenager; not the case, asweh! The idea was to focus on developing a real skincare routine, one that I would follow on a daily basis, and that hopefully would help regulate my skin, which had gone crazy after a year filled with too much travelling and one very bad breakup (Shake it off, shake it off!). Twelve months later, I will happily vouch for this little pot of golden mush, that Vogue magazine heralded “probably the best cleanser in the world“. 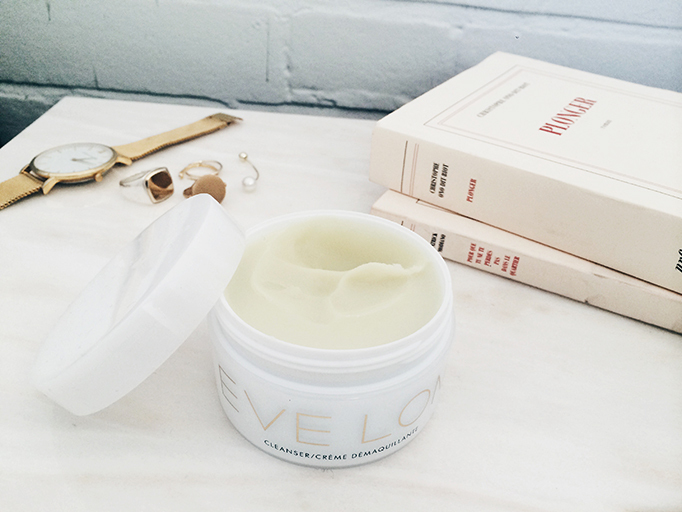 Eve Lom’s formula has slowly but surely worked wonders on my poor London-worn skin, improving circulation, exfoliating dead cells and opening pores.